Well, spring has finally come and it felt like such a long wait this year. Living in the D.C. area means we will probably be jumping right into summer weather very shortly, but we will enjoy these few weeks of spring-like weather while we’ve got them. I must apologize it’s been terribly long since I’ve popped over to the blog to post anything. I intended to update things at the beginning of the new year, but you know how that goes. I have been thinking a lot about how having good intentions really doesn’t mean a hill of beans without action – does it? So, here’s a quick summary of the past few months. In February I had the privilege of setting up the cottage at Sweet Clover Barn as well as my own shop space. Each month a different shop owner designs and sets up shop in the cute little cottage behind the barn. My idea for the cottage was to give it a french country makeover. 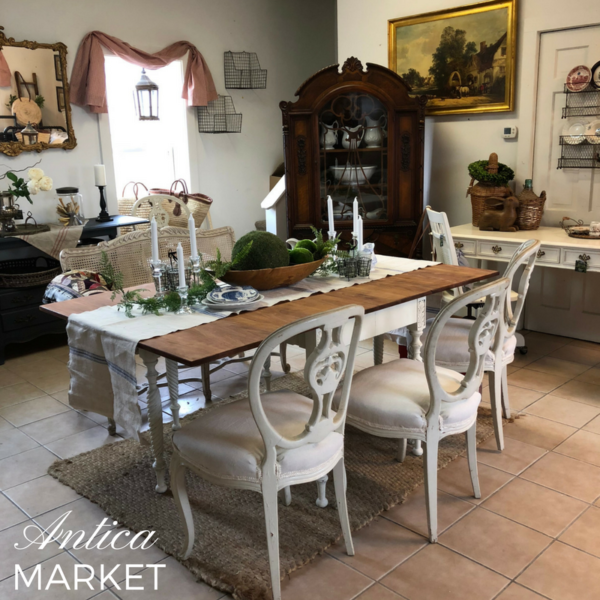 I found some beautiful antique french chairs that I reupholstered in an ecru linen fabric and paired them with a vintage drop leaf Drexel table that I refinished. The table top was stripped and then I painted the base with Annie Sloan Chalk Paint in Old White. I finished the top with a coat of MMS Hemp Oil. The chairs and table are still available. 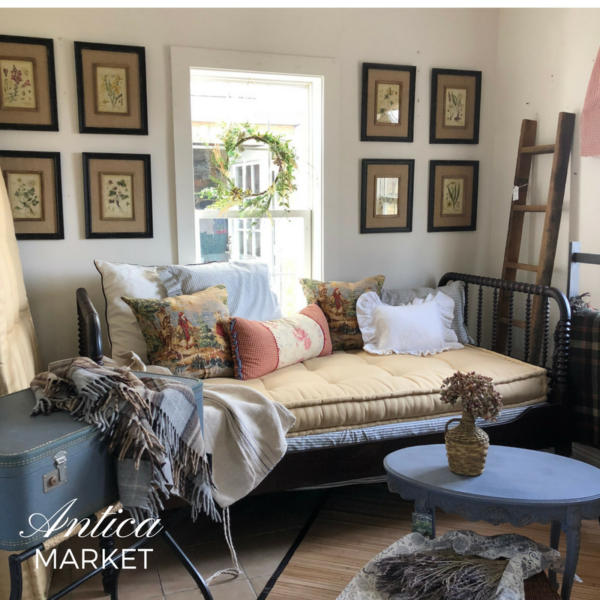 I had my eye out for a day bed to put in the space, but found an antique Jenny Lind spool bed at an estate sale and made an offer. I set it up with a tufted french mattress and turned it lengthwise so it had a daybed feel. 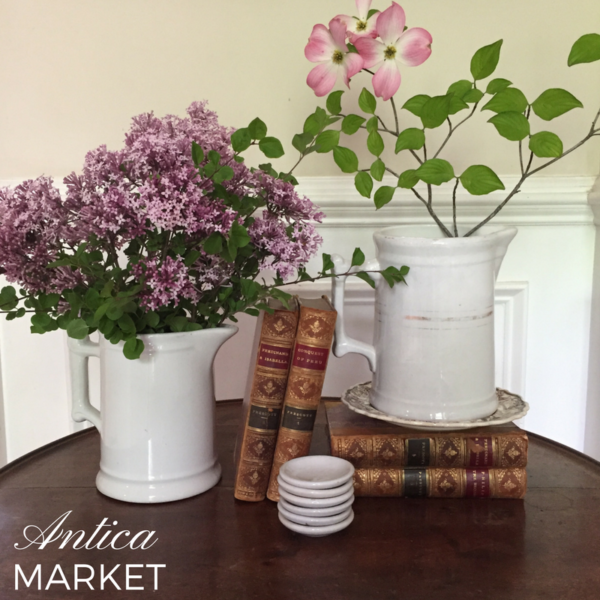 It turned out to be one of my favorite vignettes in the cottage and it sold pretty quickly. 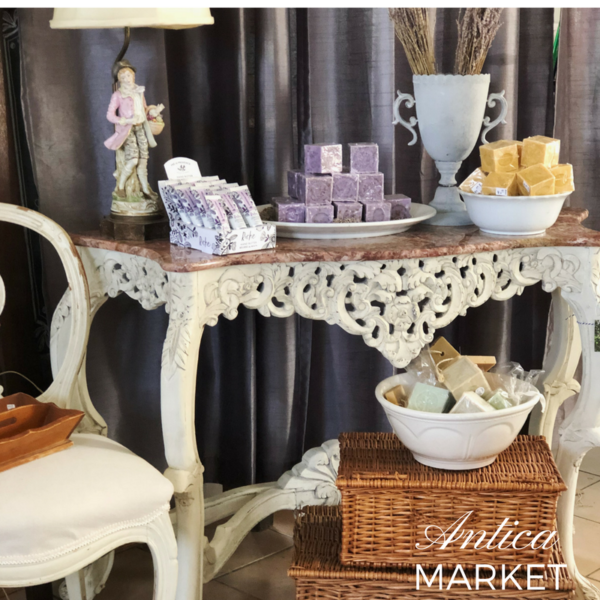 I always like to have some small gift items to offer and keeping with the French theme I ordered some of my favorite Savon de Marseille soap cubes in lavender and a beautiful white citrus scent. 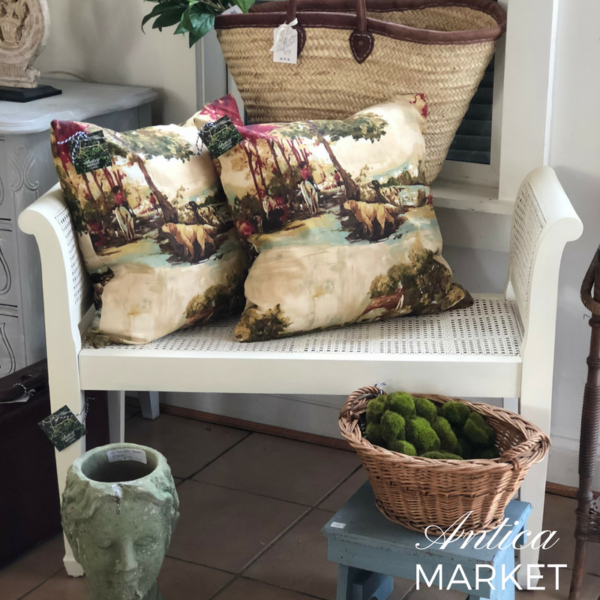 I love mixing antiques with new pieces so I also brought in some pretty ironstone, vintage demijohns, handmade toile pillows and french market totes. 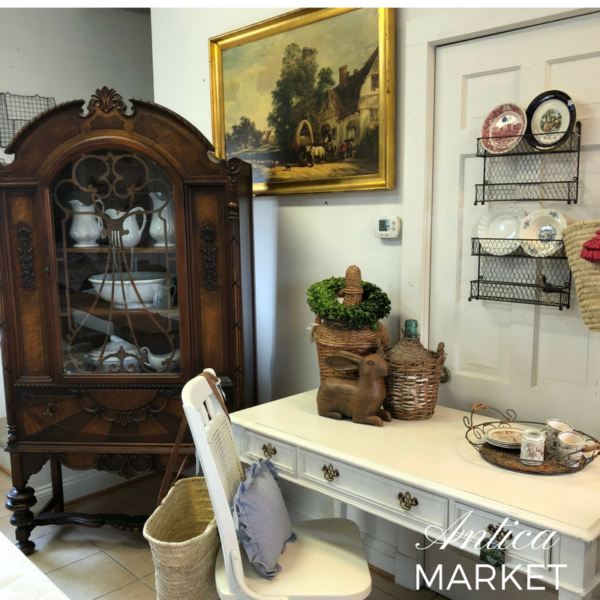 The white desk and banker’s chair and china cabinet are still available and I have some more french market bags that will be available at next month’s sale. Hope you enjoyed the update. Thanks for stopping by. Now I’m going to get outside and do a little gardening and enjoy this beautiful spring day!